And this time... it's Electric! It's going to be a great and unique occasion to see the UK land speed record broken, and the fact that the challenger is called bluebird and driven by the grandson of the famous Malcolm Campbell. This is a highly innovative attempt and well worthy of your support. The weekend of 13th/14th August 2011 will be a momentous occasion. 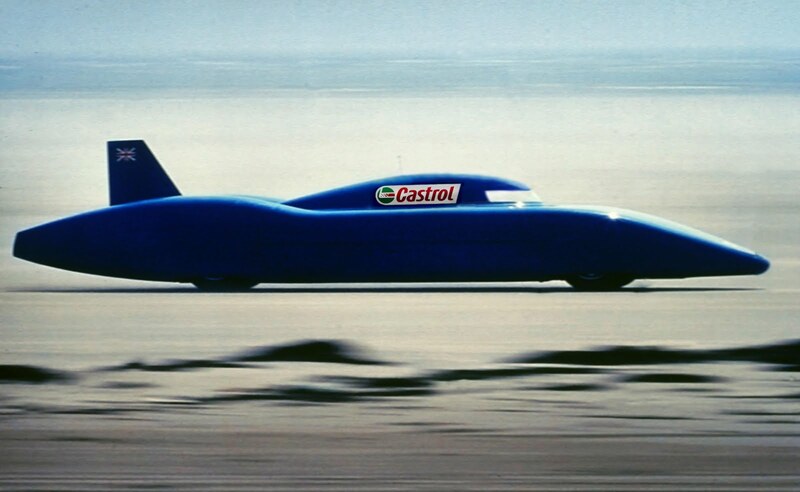 Records are set to be broken and history made as Don Wales and the Bluebird Electric team endeavour to break the UK Land Speed Record on the 4-mile stretch of beach at Pendine Sands, South Wales. Last month the attempt was aborted when a vital bespoke component that was being manufactured in Europe was not delivered. Disappointed in the firm, the team sought to find a UK engineering manufacturer, and were delighted when Dorset-based Transdev stepped in to the breach and support the team. Along with Transdev, the team has received overwhelming response from volunteers who are generously giving up their time to help marshal and assist the 30-strong Bluebird Electric team. Don Wales and Bluebird Electric would also like to extend their thanks to the MSA and RAC, plus their sponsors Castrol, Aggreko, Ford, Goodyear, Dura, Bluestone and the Prince of Wales Hotel Pembrokeshire whose support and services have been invaluable throughout. Bluebird Electric. Same colour and shape as the original, but much cleaner! During the trials in August, Wales will be driving the current Bluebird Electric vehicle as a test and development vehicle to try different battery technologies and drive units. His goal is to set an electric record of more than 500mph in 2013, the speed trials at Pendine Sands are part of the development programme. However, timekeepers and race officials will be present and the team hopes to establish new UK land speed records for an electric car. During the trials Wales also hopes to best his grandfather’s 146 mph land speed record set with a combustion engine on the same beach in 1924. This is not the first time a Bluebird has set Land Speed records at Pendine. Don Wales is following in a family tradition started by his grandfather, Sir Malcolm Campbell MBE and continued by his Uncle, Donald Campbell CBE. The team welcomes spectators to cheer them along and show their support at Pendine Sands. The runs will commence from 1.00pm on Sunday 14th August 2011. The Bluebird Electric team is also keen to hear from local high quality food and beverage producers, crafts companies and businesses who wish to promote their products or services at the speed trials. Plenty of space is available for local companies to showcase the best of Welsh and British products. Those interested should contact Martin Rees, Bluebird Electric Project Director, on T: 01646 687771 or T: 07940 275962.